Pres. Obama awarded the Medal of Honor today to a soldier who stayed at his post under withering fire 151 years ago. Lieutenant Alonzo Cushing was just 22, commanding an artillery battery during the final day of the Battle of Gettysburg. Defense Secretary Chuck Hagel has been on the defensive recently about the strategy to take on the Islamic State. 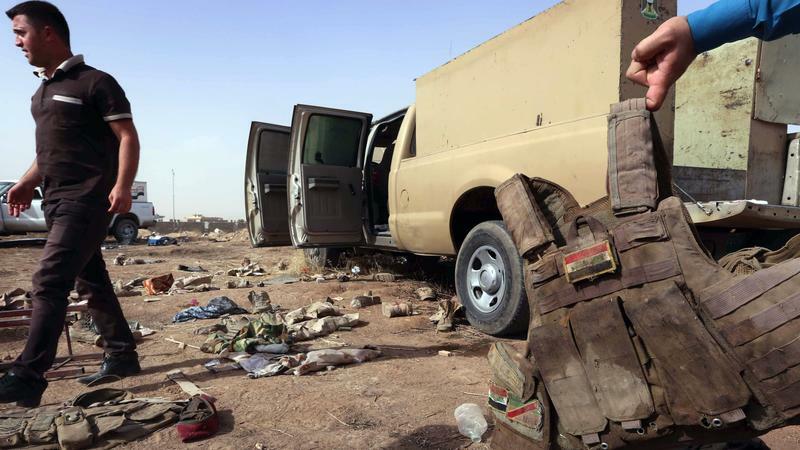 American warplanes have been bombing targets in Iraq and Syria, but militant fighters are still on the move. "We have made it very clear, I have and President Obama has, that this is a long, difficult effort," Hagel said. Secretary of Defense Chuck Hagel and Gen. Martin Dempsey, the chairman of the Joint Chiefs of Staff, defended the Obama administration's new strategy to fight the group called the Islamic State. The two officials were testifying before a Senate committee and were questioned on key aspects of the strategy, including whether a more U.S. troops might be needed on the ground in Iraq. With Initial U.S. Airstrikes A Success, Will They Expand? 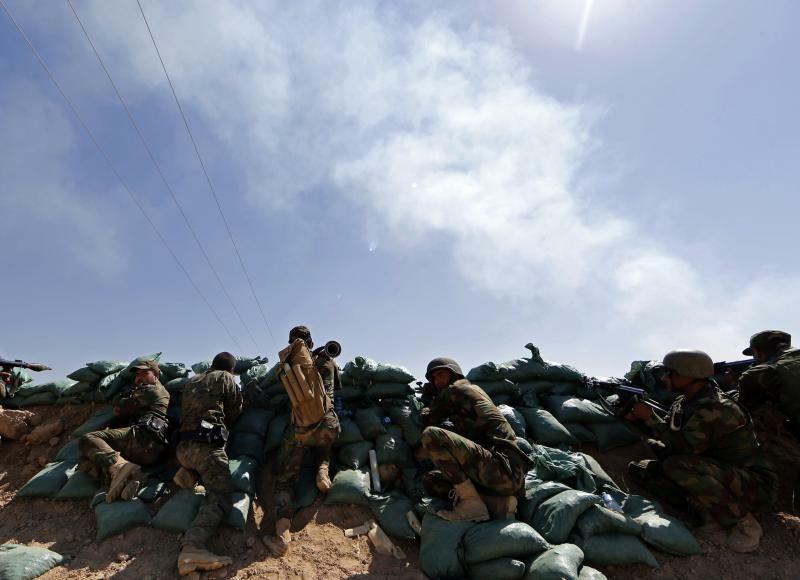 Pentagon officials announced still another U.S. airstrike in Iraq on Friday. 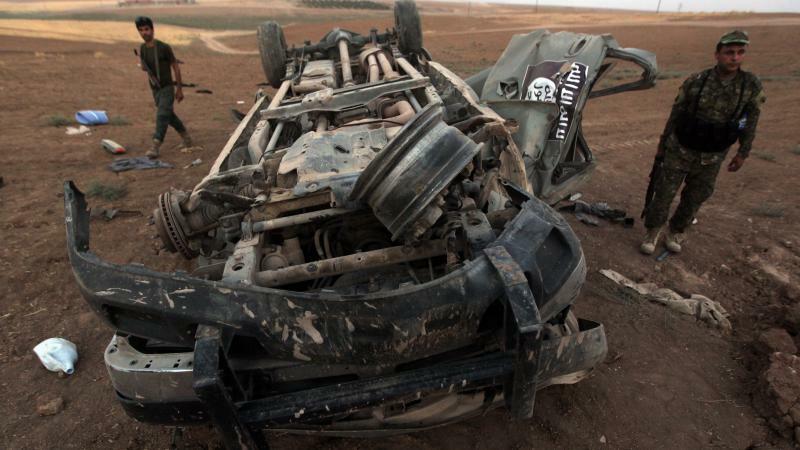 Fighter and attack aircraft hit Islamic State armored vehicles and machine guns. That makes nearly 100 U.S. bombing runs in the past few weeks, and Secretary of Defense Chuck Hagel said that enabled Iraqi and Kurdish forces to fight the group — also known as ISIL — around two northern Iraqi cities. "American airstrikes and American arms and assistance helped Iraqi and Kurdish forces blunt ISIL's advances around Irbil and helped the Iraqis retake and hold Mosul Dam," Hagel said. Warning: This report contains descriptions and an image that could disturb some readers. The savage and protracted conflict in Syria has left more than 170,000 dead. Now, there are allegations of torture and killing of political prisoners opposed to the regime of Syrian President Bashar Assad. Those allegations appear to be supported by evidence: tens of thousands of photographs. 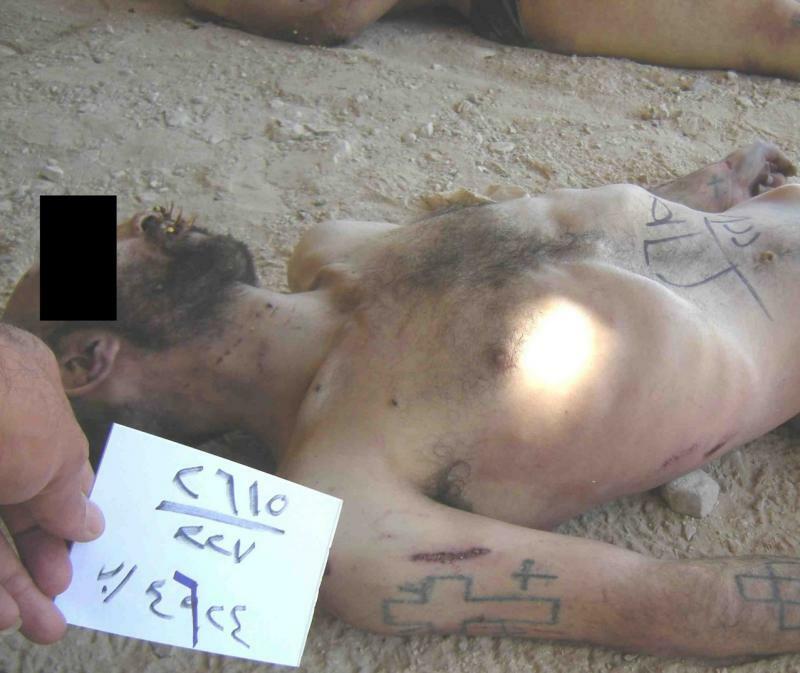 The man who says he took the pictures worked as a military police photographer for the Assad regime and defected last year. At the White House today, President Obama awarded the nation's highest award for combat bravery. 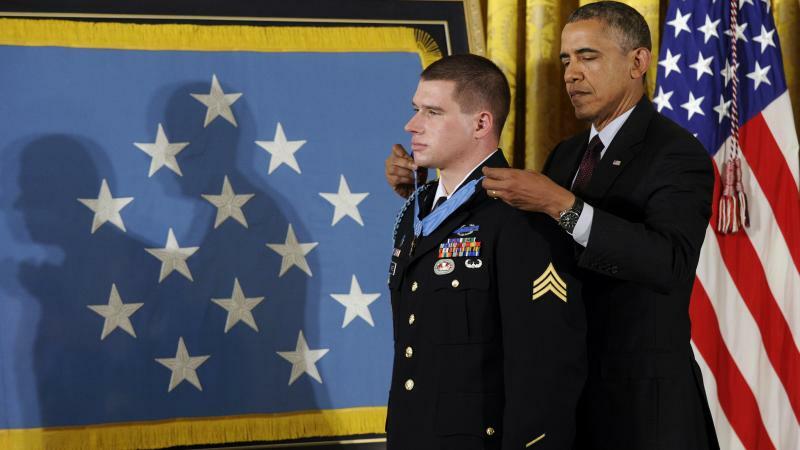 He presented the Medal of Honor to former Sergeant Ryan Pitts. In 2008, Pitts fought off a large Taliban force at an Afghan outpost. He did this for a time alone and wounded until the Americans could turn the tide of the battle. PRESIDENT BARACK OBAMA: As one of his teammates said, had it not been for Ryan Pitts, that post almost certainly would've been overrun. The challenge for the Marines, and for the Army, is how to open up ground combat jobs to women in January 2016, without lowering standards. And here's where things stand in the Marines. 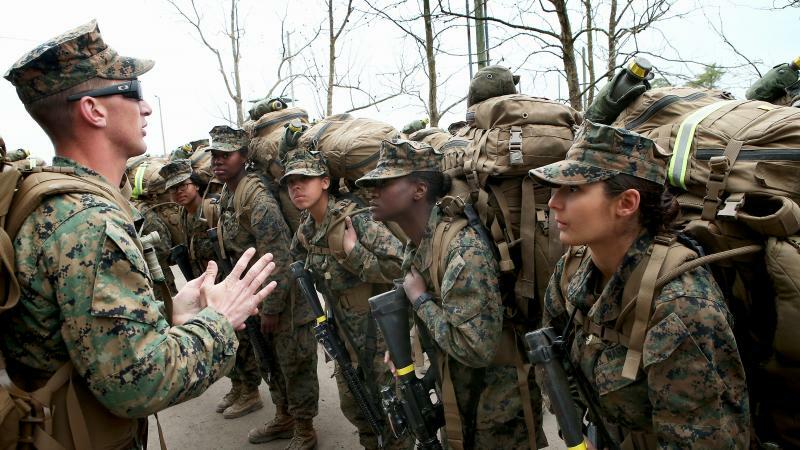 Eighty-five female Marines already made it through an infantry training course last fall at Camp Lejeune, N.C., which included drills such as attacking a mock enemy force, hidden in a pine forest. That course lasted eight weeks, and the men and women all completed the same training. Rick Brennan remembers sitting around Baghdad back in 2011 with some fellow U.S. military planners. Talk turned to the Iraqi army of the future. 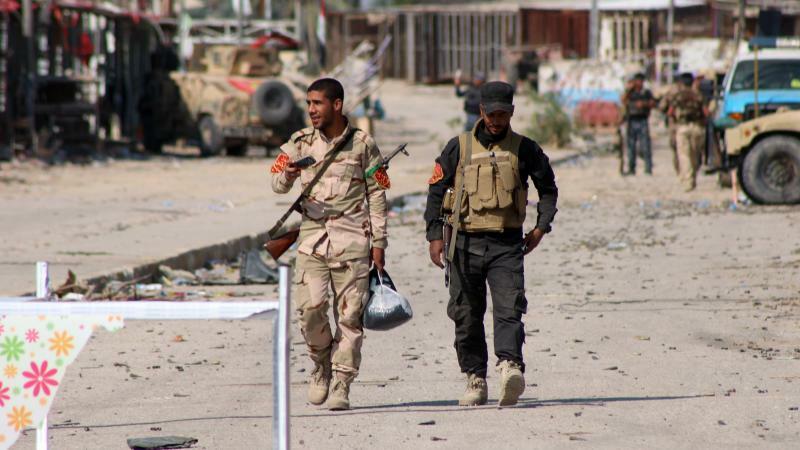 In one scenario, they pictured the Iraqi army falling apart, splintering along ethnic lines. "We painted a worst-case scenario, a nightmare scenario, that was exactly what we're seeing take place right now," Brennan says. Remember last week when President Obama said he planned to send up to 300 military advisers to Iraq? Well, the U.S. couldn't do it until the Iraqi government gave U.S. soldiers immunity from prosecution, through what's called a "diplomatic note." If those U.S. soldiers committed any crimes or had any legal troubles while advising Iraqis, the U.S. wanted to handle any prosecutions. President Obama says that up to 300 U.S. military personnel will be heading to Iraq to advise Iraqi forces, not to serve in combat. But the proposal raises more questions: Will those U.S. forces heading out with Iraqi troops be armed? What are the rules of engagement? And how long will they stay? Obama Rules Out Ground Troops; What Else Can U.S. Do In Iraq? President Obama said that he will help the Iraqi military break the momentum of the militants on the march to Baghdad. The Pentagon said that one possible option could include airstrikes. But the president said that any military help must include political solutions from the Iraqi government, which has helped fuel the unrest by failing to reach out to its Sunni minority. Five U.S. soldiers have been killed recently in Afghanistan, the result of what might have been friendly fire from an American airplane. The deaths, if confirmed, would constitute the worst case of friendly fire in the war so far. From NPR News this is ALL THINGS CONSIDERED. I'm Melissa Block. Even as the Taliban released a video of Army Sgt. Bergdahl's release, questions continue to surround his initial disappearance. Bergdahl has said he was captured by the Taliban while lagging behind on a patrol. In a classified report produced in 2010, the Army paints him as a soldier troubled by U.S. policy, but it does not go so far as to call him a deserter. Still, many wonder whether Bergdahl planned to return before his capture. The prisoner exchange that freed Bowe Bergdahl has touched off a huge political controversy. NPR's Mara Liasson joins us now to talk more about it. Hey there, Mara. President Obama intends to keep a force of 9,800 American troops after the end of 2014. The troops will remain in the country in order to train Afghan forces and support counterterrorism operations. By the end of 2016, all U.S. troops would leave Afghanistan. Sometime on Monday, Dave and Cilicia Boelk will visit the grave of their son James, not far from their home in Manassas, Va. It's Memorial Day. Lance Cpl. James Boelk was a Marine killed in Afghanistan in the fall of 2010. Dave Boelk admits that Memorial Day was never all that special. 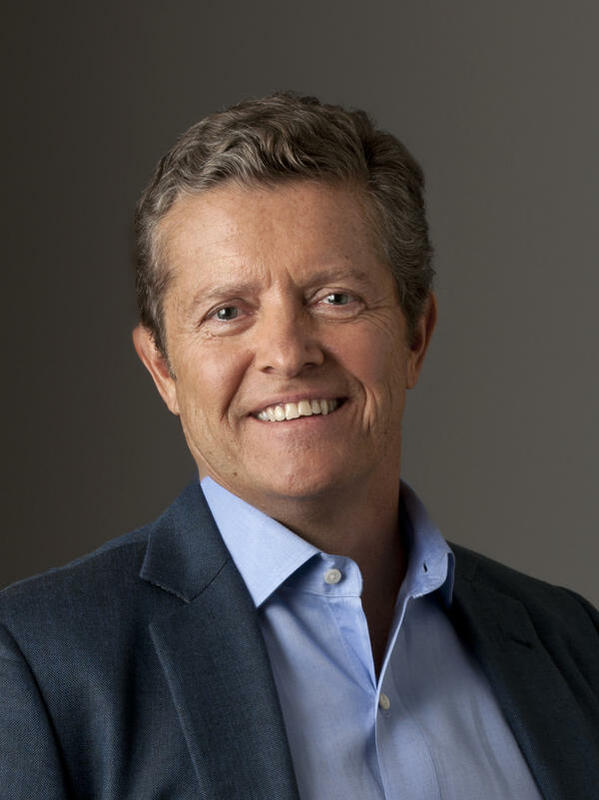 Like most Americans it just signaled the beginning of summer, a day of picnics and car sales. "It really didn't mean a whole lot to me either until our son was killed, so I can't slight people for going off and having a good time," Boelk says. The U.S. has deployed surveillance aircraft to Nigeria in the search for the more than 250 schoolgirls still missing. Imagery gathered by the aircraft and satellites will be shared with the Nigerian government. President Obama on Tuesday awarded the Medal of Honor, the military's highest award for combat bravery, to former Army Sgt. Kyle White. Obama described how — during a firefight in Afghanistan — White single-handedly saved the life of a fellow soldier and then helped evacuate the wounded during a firefight with the Afghan Taliban.
" 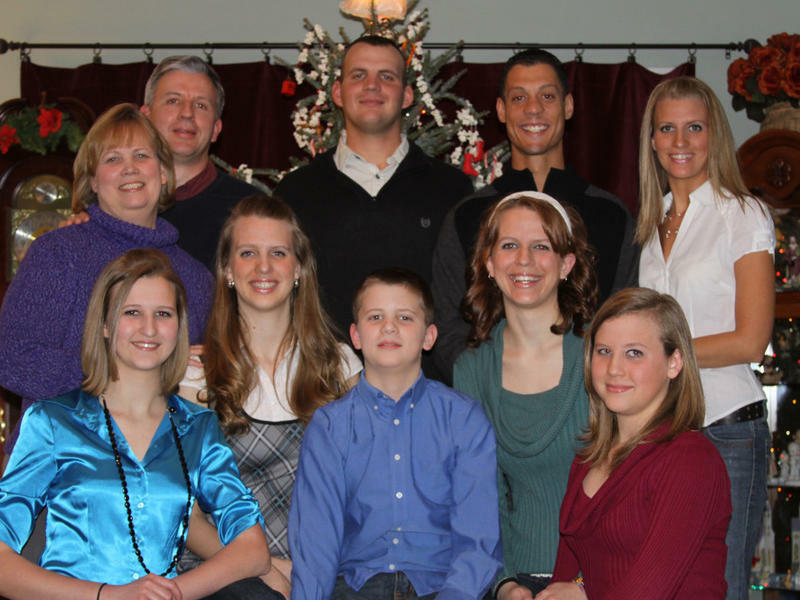 'When you're deployed,' he later said, 'those people become your family. What you really care about is, I want to get this guy to the left and to the right home,' " Obama said of White. Key Syrian opposition leader Ahmed al-Jarba is expected at the White House on Tuesday to meet with National Security Advisor Susan Rice. The Syrian civil war has been raging for more than three years. After Setbacks In Battle, Syrian Rebels Seek Victories In D.C.